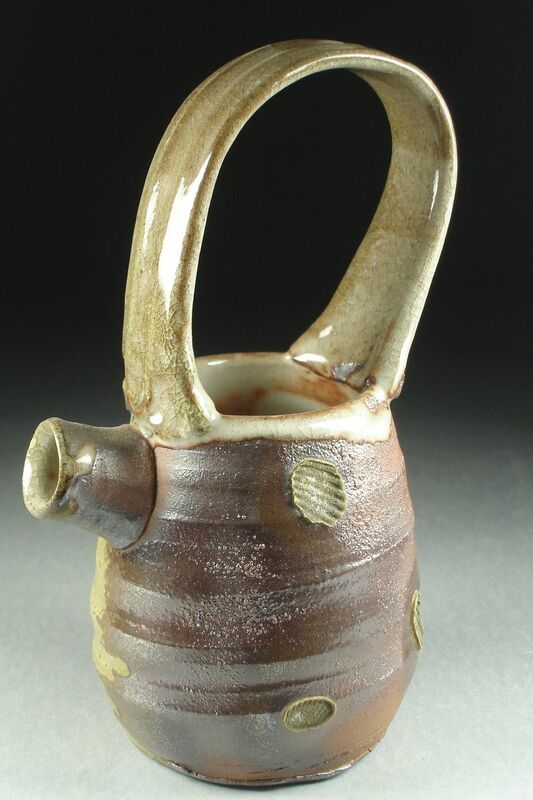 A simple, elegant Shigaraki style pitcher. Wheel thrown and assembled woodfired with a shino glaze, natural ash deposits and bare clay exposed. Suitable for use as a serving pitcher (12 oz. capacity) or as a vase. Food safe, please hand wash.